Respiratory stress is a common fact of life for the modern horse. Stabling, forage and indoor schools can all harbour dust and fungal spores which accumulate in and irritate the sensitive lining of the lungs and respiratory tract. In the wild, horses had free access to a wide range of herbs, shrubs and trees that they could self select to meet their requirements. With the limited species variation in modern pasture, this is no longer possible. 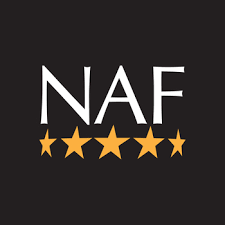 NAF Easy Breathing is designed to improve the diet by re-introducing natural herbal variation in order to support lung health. 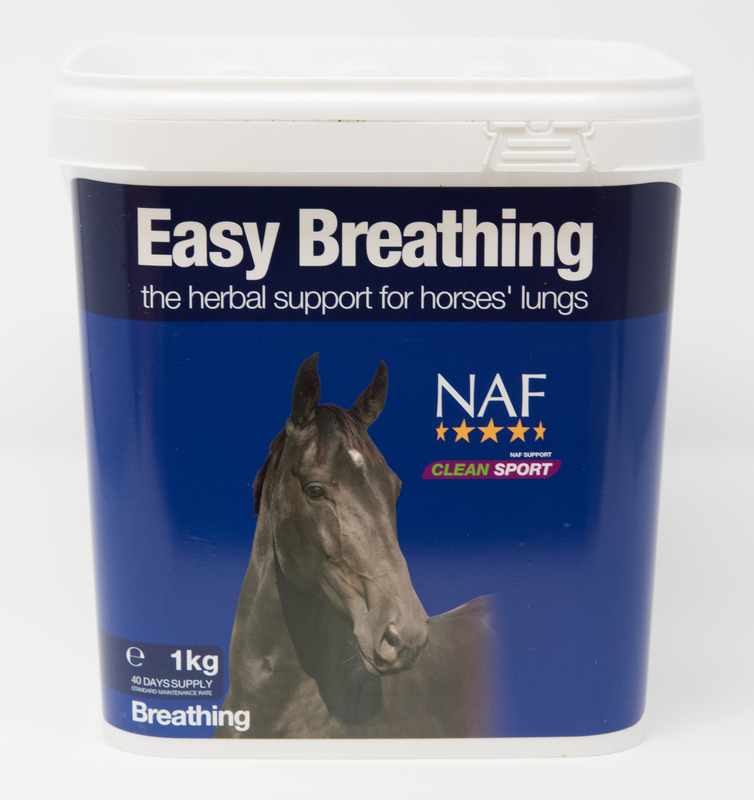 NAF Easy Breathing includes althea, garlic and aniseed, all well known for their traditional roles in a healthy respiratory system. 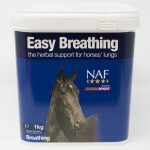 NAF Easy Breathing is suitable for the maintenance of healthy lungs in all horses and ponies. For optimum lung function see Respirator Boost and Respirator. * Repeat loading rate as required. Feeding herbs produces a cumulative effect so Easy Breathing should be fed regularly over a prolonged period for the best results. Maintenance levels may be adjusted to suit the individual, and are not necessarily related to bodyweight. 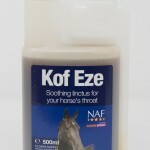 One 60ml scoop of Easy Breathing provides approx. 12.5 g.
Feeding herbs produces a cumulative effect, so Easy Breathing Liquid should be fed regularly over a prolonged period for the best results. Maintenance levels may be adjusted to suit the individual and are not necessarily related to bodyweight. Anise seed, Marshmallow leaves, Common nettle, Garlic (dried), Barberry bark, Gingko leaves, White mineral oil, Ginger. 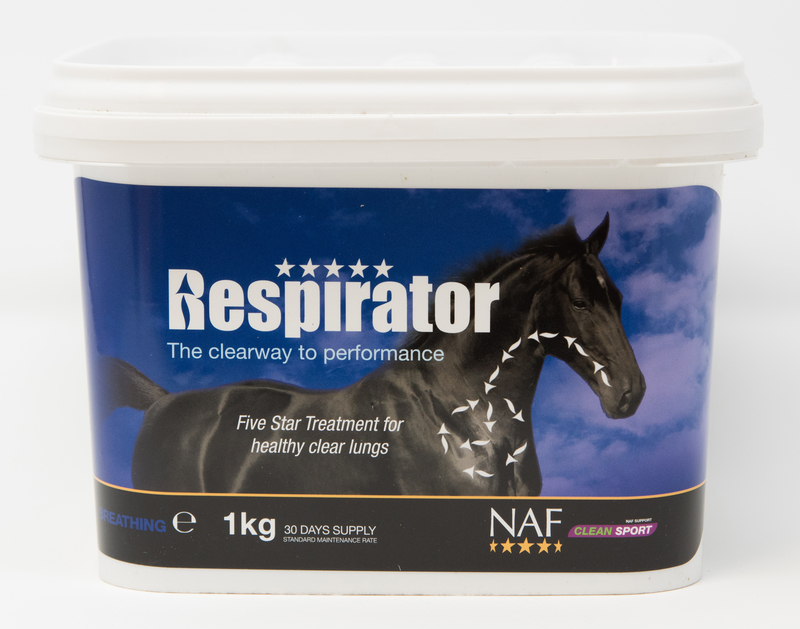 NAF Respirator Boost is not a medicinal product - it is a high specification, powerful, natural formulae specifically targeted at maintaining and supporting your horse's breathing. Respirator Boost help maintain clear airways. 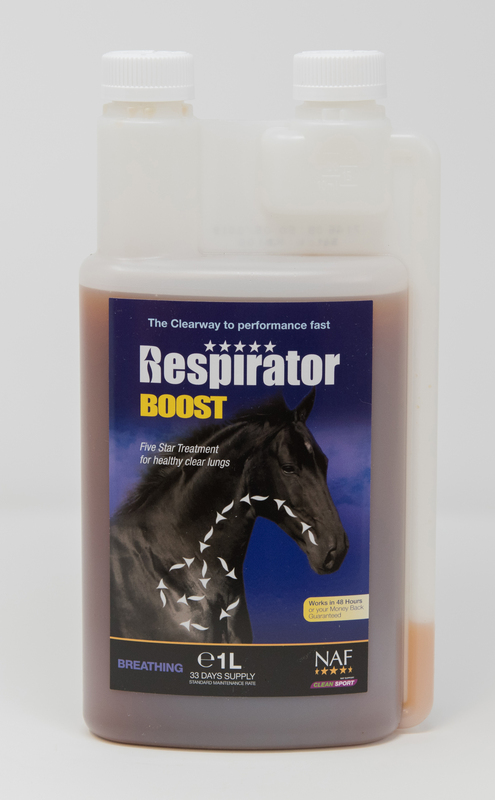 Respirator Boost provides valuable nutritional support to the respiratory mucosal immune system and the delicate capillary blood vessels that surround the lungs. 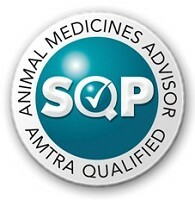 Research shows that by supplementing the diet with naturally sourced anti-oxidants, the horse’s lungs can be given valuable support. Respirator Boost contains a concentrated solution of natural anti-oxidants, alongside herbs such as ginger, rosehip and blueberries, chosen for their targeted support of healthy lung function. 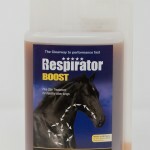 Respirator Boost is also recommended where close contact with other horses showing respiratory stress may be cause for concern. Respirator Boost is guaranteed to work in 48 hours or your money back!! Maintenance levels may be adjusted to suit the individual, and are not necessarily related to bodyweight. Aqua, Methyl sulphonyl methane, Glycerine. Respirator provides valuable nutritional support to the respiratory mucosal immune system and the delicate capillary blood vessels that surround the lungs. Respirator contains a concentrated solution of natural anti-oxidants, alongside herbs such as ginger, rosehip and blueberries, chosen for their targeted support of healthy lung function. Respirator is also recommended where close contact with other horses showing respiratory stress may be cause for concern. Grass meal, Methyl sulphonyl methane, Bitter orange peel (ripe), Milk thistle seeds, Dextrose, Gingko leaves, Omicha berries, Hawthorne berries, Blueberries, Brewers' yeast, Rosehip shells, Turmeric, Dandelion leaves, Rosemary, Ginger, Licorice,White mineral oil, Fructo-oligosaccharides,Wheat protein. Whether a horse’s respiratory stress is only seen during exercise, or whether it’s seen more generally, it is likely that the exertion of working the horse can exacerbate the situation. 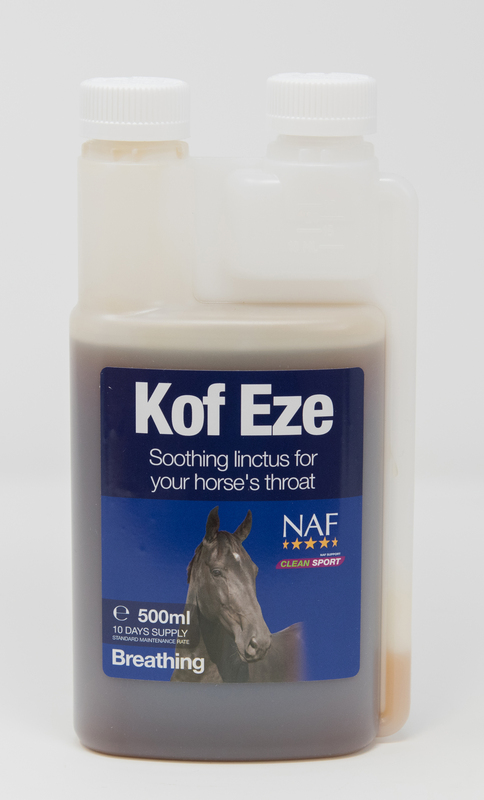 Kof-Eze is a highly palatable linctus, containing Teatree and Peppermint to soothe the respiratory tract, and may be used in conjunction with other respiratory supplements. Use immediately prior to exercise. Kof Eze should be used as a support to other breathing supplements, or as a short term soothing linctus prior to exercise. Water, Dextrose, Glycerine, Maize starch (pre-gelatinised). In the wild, horses had free access to a wide range of herbs, shrubs and trees that they could self select to meet their requirements. With the limited species variation in modern pasture, this is no longer possible. 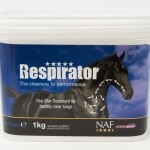 NAF Easy Breathing Liquid is designed to improve the diet by re-introducing natural herbal variation in order to support lung health. 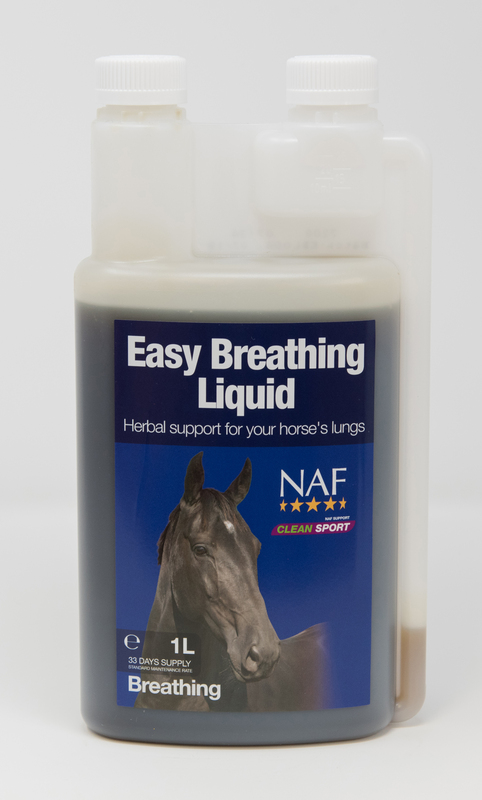 NAF Easy Breathing Liquid includes althea, garlic and aniseed, all well known for their traditional roles in a healthy respiratory system. 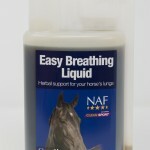 NAF Easy Breathing Liquid is suitable for the maintenance of healthy lungs in all horses and ponies.